This post is by Colorado mom and advocate Susan Osborn Hoyt, a mom of two with a third on the way. She writes Amazing Gracie, a blog about her family and parenting a child with a rare disease, where this post originally appeared. 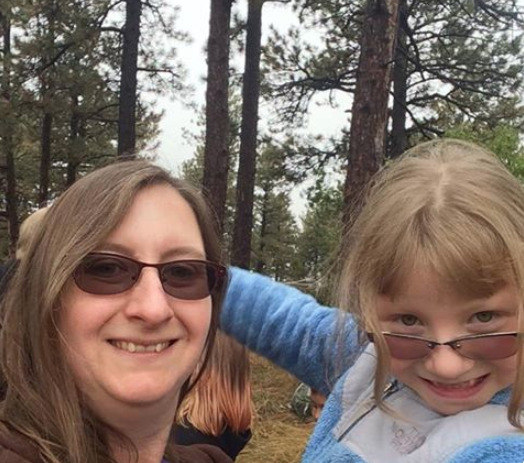 Her daughter, Gracie, has a rare disease called Posterior Column Ataxia with Retinitis Pigmentosa, which means she has ataxia (poor balance), is legally blind and cannot feel pain. When Gracie lost her amazing rare-disease doctor, due to legal technicalities, Susan set out to ensure this wouldn't happen to other kids in their state. Susan works full-time for a legal publisher, and moonlights at her husband's business. She is yet more proof that sometimes, it takes just one determined parent to change the lives of many children. It seems that the time between my posts gets longer and longer. There is a good reason for that. In addition to being a pregnant mom and working two jobs, I have a few side projects going on. One of them is a piece of legislation affectionately known as Gracie’s Bill. A few years ago, we lost Gracie’s best doctor when she left our hospital and went to another hospital in the area. I received a form letter from our hospital the day she left to inform us that she was no longer with the hospital. A few weeks later, that doctor, Dr. D., called me on my cell phone to let me know that she was bound by a non-compete agreement and was unable to see any pediatric patients—including Gracie—for two years. She wasn’t even supposed to call me, but she cared about us as much as we cared for her, and she felt like we deserved to know what happened. Because I work in the legal profession, my first thought was, “But wait! Non-competes are disfavored in Colorado—how can she be bound by one?” I looked up the relevant statute (Colo. Rev. Stat. § 8-2-113, for any other legal nerds out there) and found out that actually, physicians are specifically allowed to be bound by non-competes in Colorado—there is an explicit exception for physicians. I was shocked and dismayed. Shock eventually turned to action, and I started questioning how to change the law. I reached out to the Colorado Medical Society and spoke to their lobbyist. She informed me that although CMS was unable to work on this legislation due to other, bigger issues, they get many calls complaining about physician non-compete agreements, and I should keep working on the issue. I researched my local senator and representative. Although neither was someone I would have voted for, I was their constituent, and I decided eventually to reach out to the woman, my senator, thinking she may be more sympathetic as a mother. We met in the summer (after the May end of the legislative session), and she agreed to advance the legislation the following year—IF she was reelected. That senator had a contested election race versus someone I personally know from a different point in my life who is aligned with me politically. Despite the promise of a personal favor, I had to vote for and support the candidate opposing her—the person I knew from years and years ago. Thankfully, the candidate of my choice won the election! She is a good person who is smart and compassionate, and I am very glad for her that she was elected. After the election, I waited a while to contact her about the physician non-compete statute. She was very busy, but she remembered me from way back when and agreed to meet. Both of us are busy moms, and it took a while for us to get together. But when we finally met up, she immediately agreed to try to help us, and started of thinking of possible solutions that would be acceptable to all of the stakeholders. She knew it was too late in the 2017 legislative session to advance a bill, but promised to write one for 2018. Senator Z. is true to her word. She introduced SB 18-082in the beginning of the 2018 legislative session. Instead of eliminating the clause that allows physicians to be bound by non-compete agreements, she decided to carve out an exception for physicians who treat patients with rare diseases. That way, she would not be opposed by the major stakeholders—the hospitals and hospital associations. She received support from several medical organizations, including the Colorado Medical Society, the major medical liability insurer, the Colorado rare disease community, and more. In fact, no one opposed her proposed legislation. She scheduled the Senate committee meeting and asked me to attend to testify on Gracie’s behalf. Thank you, Senators, for allowing me to be here today. My name is Susan. This is my daughter, Grace. Grace is 7 years old. She loves Taylor Swift, mermaids, and puppies, and she has a rare disease called Posterior Column Ataxia with Retinitis Pigmentosa. This means that she has ataxia, or poor balance, she is legally blind, and she does not feel pain. Not feeling pain has been the hardest part of her condition to manage. We figured out she couldn’t feel pain when she was about a year and a half old. She would get round wounds on the tips of her fingers, or deep cuts in the creases, and we could not figure out where they were coming from. Eventually, one Easter Sunday, she got a deep cut on the crease of her right index finger, and we knew she hadn’t been around anything sharp—except her own teeth. 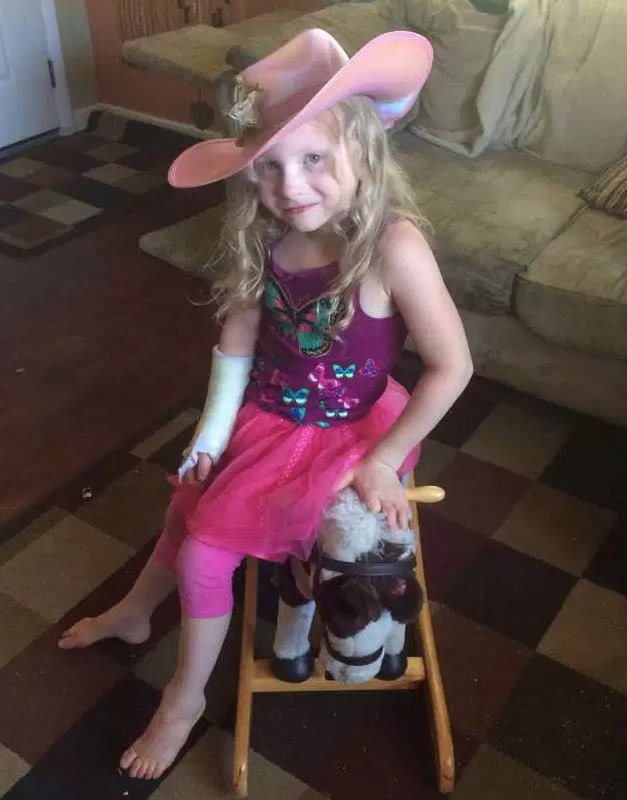 Her physical therapist questioned whether she could feel pain, and we thought back on all the times she banged her head without crying or kicked her heels into her high chair, and we realized she could not. That realization led to a long and arduous medical journey with many, many doctors in specialties I’d never heard of before, like Infectious Disease. Gracie has had many, many infections in her short life. She has been hospitalized about 15 times, always for some type of infection. Some of these infections were very serious, even requiring amputations of some of her fingertips. We have relied on infectious disease doctors to manage her infections and find medications to prescribe that she is not resistant to. We have had mixed luck with infectious disease, but in 2013 we found Dr. [D] at Rocky Mountain Hospital for Children. Dr. [D] was a Godsend. She understood the complexity of Gracie’s care. She listened to my concerns and answered my questions honestly, never getting offended if I questioned a particular treatment. But in January 2015, she left Rocky Mountain and went to a different hospital. Unfortunately, the terms of her non-compete agreement prevented her from talking to us or having any influence on Gracie’s care. We still have not found an infectious disease specialist who understands Gracie like Dr. [D] did. Grace has had some infections in the past few years that became very serious because she was not prescribed the right medication in time by her new infectious disease specialists. Her new infectious disease doctors try to treat her like a 7-year-old with a normal immune system, not comprehending the seriousness of her condition. If Dr. [D] could have continued to help with her care, I believe the doctors would have treated Gracie more quickly and she would not have spent as much time in the hospital. Senators, please, I urge you to support this bill. It is very hard to find doctors who understand and who are good at treating patients with rare diseases. To lose them to a non-compete agreement is absolutely devastating. Please consider my daughter and all other children and adults with rare disease when voting on this bill. I brought a picture of Gracie to woo the senators—because who can look at her adorable face and say no? Senator Z. warned me before the committee hearing that this was a “kill” committee—that likely the bill would not make it out of the committee. I tried not to get my hopes up, but I knew I had a secret weapon—Gracie. She is the most charismatic person I’ve ever met, and maybe, just maybe, seeing her picture and hearing her story would be enough to convey to this Senate committee that she was worth voting for. Miraculously, beautifully, unbelievably, it worked. Gracie’s Bill passed out of the kill committee with a 4-1 vote. It would likely pass through the Senate with no further opposition, since it made it through this committee. The bill passed through the Senate with only one “no” vote—from the same senator who voted “no” in the kill committee. I met with the representative who would carry the bill in the House, and he agreed to hold the committee meeting on the morning of March 13. Again, I would testify in support of the bill. I amended my prepared testimony to be pertinent to the House committee members, and nervously readied myself for the hearing. The House committee hearing was much more stressful than the Senate committee hearing. Perhaps it was because I had been told to expect the bill to die in the Senate committee, and I was hoping it would advance through the House. Perhaps it was because the logical part of my brain knew the delay between the Senate and the House had given the opposing political party members time to find excuses for opposition. Nevertheless, I was very nervous going into the hearing. The bill passed out of the House committee on a straight party line vote. Many of the politicians who voted against it said they would support it if a proposed amendment was adopted. I was not sure if this was truth or just lip service, but graciously accepted their platitudes. The bill was up for 2nd Reading in the House last Friday, and, true to their word, those politicians who had opposed it in committee spoke in favor of the bill (as amended) on the House floor. Third Reading in the House happened quickly and uneventfully this Monday morning. And on March 21, the bill was returned to the Senate for approval of the House’s amendment. I am happy and relieved to say that the bill has now passed through all stages of consideration in the Senate and House. Its next stop is at the desk of our governor, who has no reason to veto and will certainly sign the bill. I do not know yet if I will be able to attend the bill signing with the governor, but it would be very cool if I could attend. I might even bring Gracie. After all, she is the amazing one who has been the impetus for this whole thing. Now, time for another side project…maybe I’ll start trying to find childcare for the summer. That’s a whole different battle! Interesting - I hadn't realized this was something that could happen, though it might explain why one doctor we liked never mentioned to us where she was going when she left the practice she was in (we gladly would have transferred with her). Can you tell us how to find out if your state has these policies in place? Hi, most states do allow physicians to be bound by non-compete agreements. New Mexico passed a law in 2016 that eliminated the physician exception for non-competes, and I believe there is one other state that does not allow physicians to be bound by non-competes, but I don't remember which one it is. There is a chart here - https://www.faircompetitionlaw.com/wp-content/uploads/2017/07/Noncompetes-50-State-Survey-Chart-20170711.pdf - that gives a state-by-state overview of whether non-competes are enforced and if there are any exceptions. Most people would gladly travel with their doctors, which is why physicians are bound by non-competes in the first place - the practice doesn't want to lose money if they lose a good doctor. However, the patients are the silent victims in these situations. It's not a great situation. If you're interested in diving deeper into your state's laws and how to change them, I'd be happy to help in any way I can. Also a good employment lawyer should be able to tell you offhand about your state's views toward non-competes. Good luck!